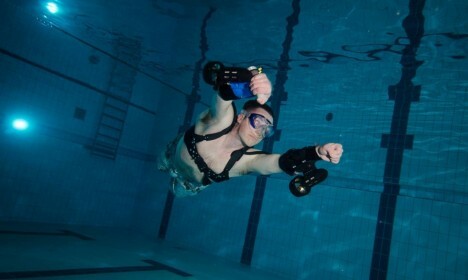 If you ever wanted to experience the pure effortless joy of a dolphin cruising through the ocean, the X2 Sport Underwater Jet Pack system will remake you into a sea-worthy mammal. 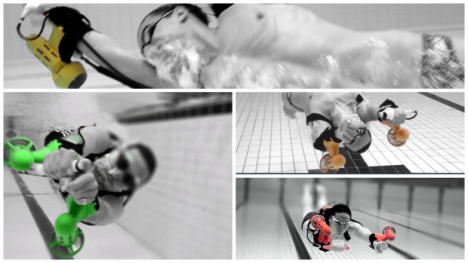 Six miles per hour may not sound like much, but it is twice the world record speed of an unenhanced human swimmer. 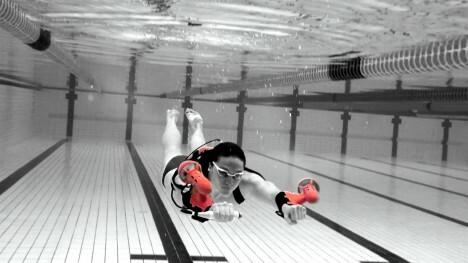 The devices strap to your pack and arms, propelling you gracefully and without additional human power through the water. 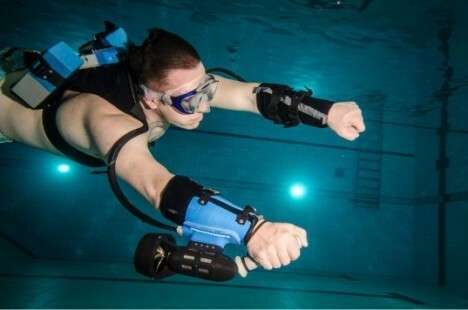 Add scuba gear or other breathing accessories and you can dive deep and fast. A handheld mechanism lets you grip to go forward and speed up, aiming your arms where you want to travel, while your back carries the majority of the mechanism. Hopefully some future iteration of this device will add foot-worn additions to the equation, potentially further bolstering speed and giving you more dynamic and omnidirectional control to boot. For now, the beta-tested version is being developed at a steep price tag of $1,400, so you may want to rent before you aim to own. See more in Mods & Custom or under Transportation. October, 2015.